Do you want to know if someone is hiding your posts on Facebook? We are going to tell you how to figure out that on here with step by step. Sometimes people can hide your posts on their timelines and feeds. If you are curious about who is hiding your posts on Facebook, the tutorial below is going to help you about this. 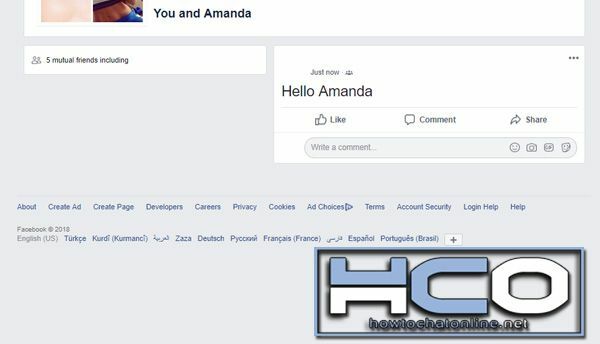 If you would like to get interesting information on Facebook, you can check our tutorials on here. Log In to your account. Go to Facebook and sign in to your account. Visit your friend’s profile. Go to profile of your friend on Facebook. Click on three dot menu. There is a three dot menu just near of Message button. Click on the menu. Select See Friendship. Now you will need to select See Friendship on the menu. Check all common posts. You will need to check all common posts to see if there is any posts missing between you and your friend. Detected a missed post. When you detected a post which is missed, it means your friend hidden your post on Facebook. If you want to ensure that your friend is keeping hide your posts on Facebook, you can send a few posts on her/his wall and keep watch the situation of posts. If you think that one of your posts missing, it means your friend is doing it continuously. Sad but true… If you have any questions regarding this issue, please let us know with leaving a comment below.